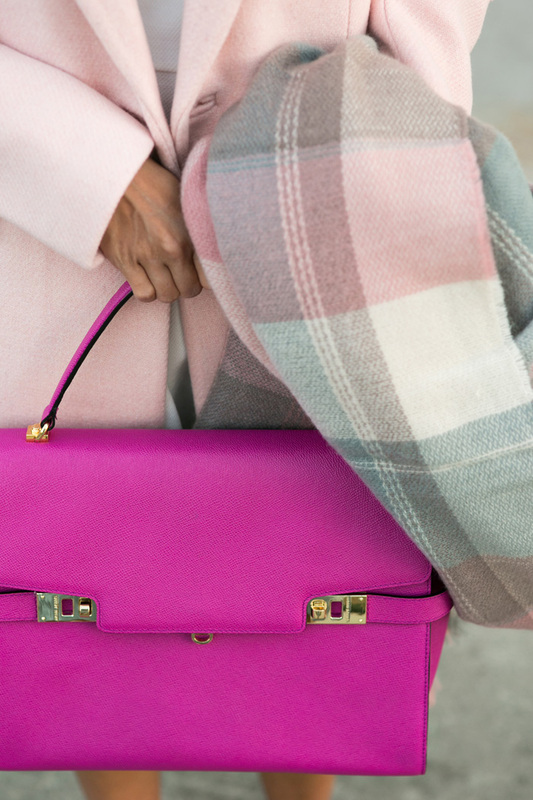 It’s to default to black and greys this time of the year but why not add some color to the cold weather?! I have an endless love for the color pink so having a pink coat just makes sense. And not just any pink coat but a double breasted, petite friendly one like this gorgeous coat from Banana Republic. 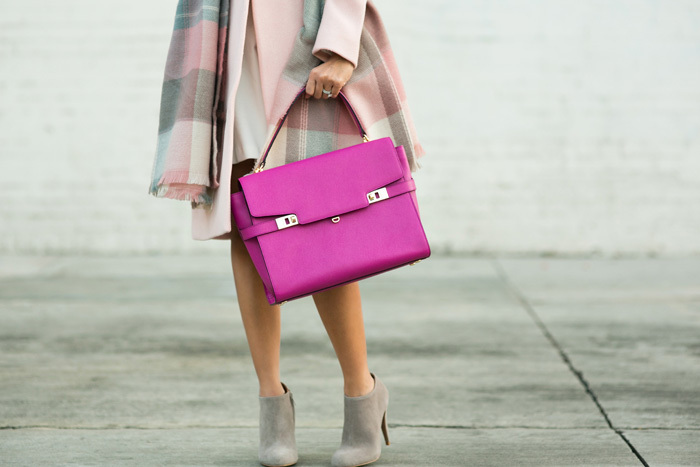 I paired it with more pops of color like this amazing fuchsia satchel Henri Bendel and Plaid Blanket Scarf from Morning Lavender. It’s really nice that it’s finally chilly in California (and by chilly I mean 60’s) and I can wear my coats! Pink Coat – Banana Republic in size 00P. Sunglasses – Nordstrom – yes I wear these all the time and they are only $12! Handbag – Henri Bendel. Also love the dusty pink color! Plaid Blanket Scarf – Morning Lavender. Also love this pastel blanket scarf. This look is gorgeous! I love the pink hues you chose and the greys as well. Love your coat and color conbination! This pink is my favorite!) elegant and stylish! Pink and grey make one of the best color combination ever! Loving the whole look, so pretty yet professional enough for the office! Very nice look! Great shoes and scarf!